Every once in a while you’ll come across a piece of furniture that completely blows your mind. 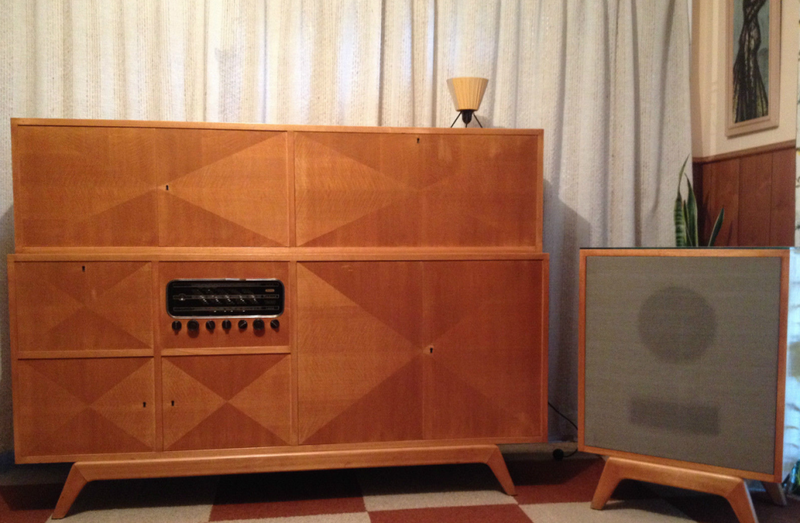 For me, this happened today whilst browsing an Australian Mid Century group on Facebook. 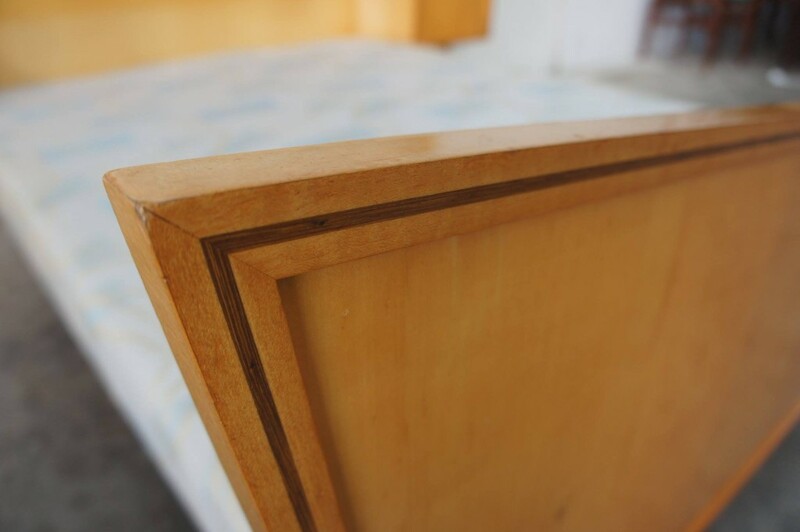 In architecture, you’d call the lines and design adorning the top of the front and rear bedheads – a butterfly roof, popularised in the post war period and so common to many mid century designed homes. Here they’ve applied the same design and principals to what otherwise is normally rectangular in shape (and boring!) and created something amazing and beautiful. 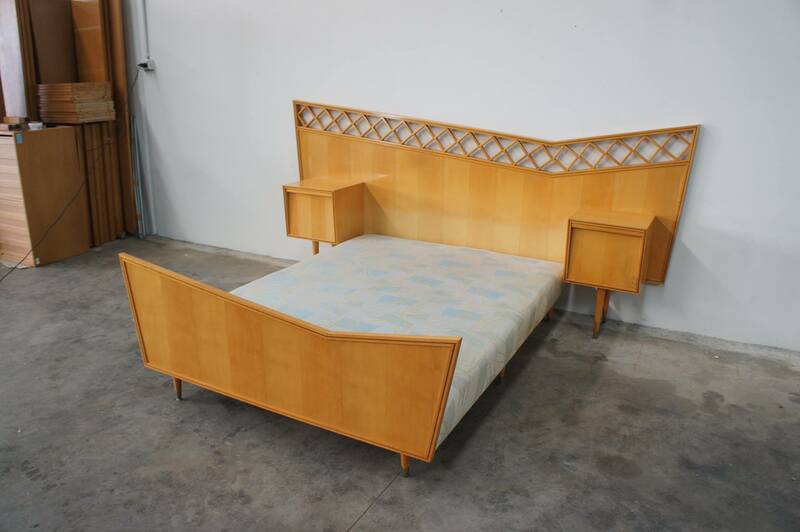 Apparently the new owners came into possession of the bed after purchasing a mid century modern home in Melbourne, and believe the manufacturer to be the Rosando Brothers. After looking through some other images of their work here, there definitely appears to be a strong resemblance in both style and design when compared to some of their other known work. I wish the new owners all the best with their amazing find! A little short for time this week, however when I received my weekly email from eBay listing items from my favourite (saved) sellers I thought I had to definitely had to share the following. I’m really impressed with the speaker unit, such a great look, and to be specifically made (and integrated into) the sideboard/bar unit is awesome. 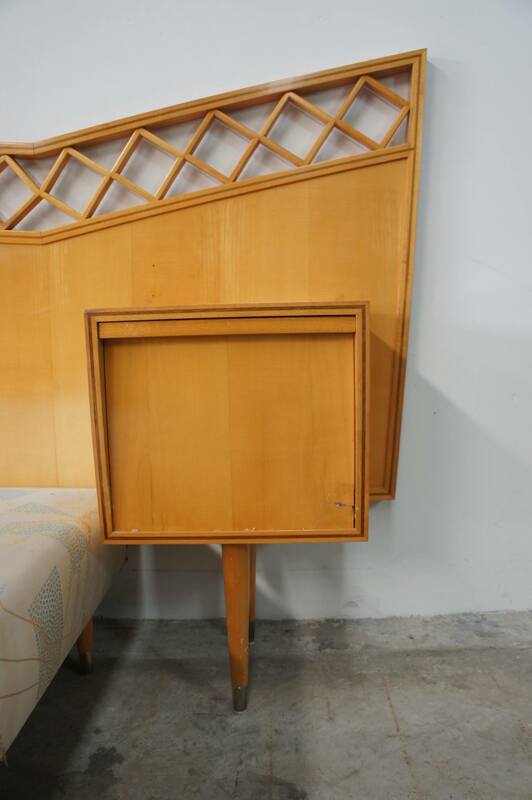 You can find it on eBay by searching for ‘Rosando Sideboard’. Whilst there be sure to check out the seller. As mentioned above they’re one of my favourites on eBay, consistently listing great items at very reasonable prices (note – we have no affiliation with the eBay seller).